As part of IRENA’s 3rd International Off-grid Renewable Conference & Exhibition (IOREC), the above visit organized by the Energy and Climate Change Division’s Sustainable Energy Research Group (SERG) will occur on 2nd October 2016. To learn about this project and others implemented by the SERG and e4D team, please click here and also check the pages of this website. 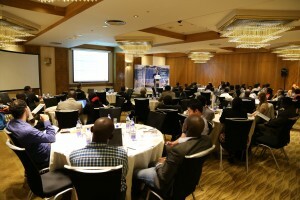 As part of the Energy for Development programme, a two-day conference on “Development and Minigrids” – Rural Africa, was held in Nairobi on 11th and 12th May 2015 at the Intercontinental Hotel, Nairobi. The purpose of the conference was to bring together active partners in the field and to disseminate the e4D work on Energy for Development. Experts were invited to speak on “Development and Minigrids” in rural communities within Africa, with presentations encompassing the social, business and engineering aspects of these developments. There was a site visit to Kitonyoni. The conference was free to attend with lunch and refreshments provided to registered delegates. View the full report and proceedings here.